Hailstorm Kills 2 Zoo Birds Much of the damage from this storm occurred in the parking lot. According to the Cheyenne Mountain Zoo in Colorado Springs, nearly 400 cars there were "severely damaged." 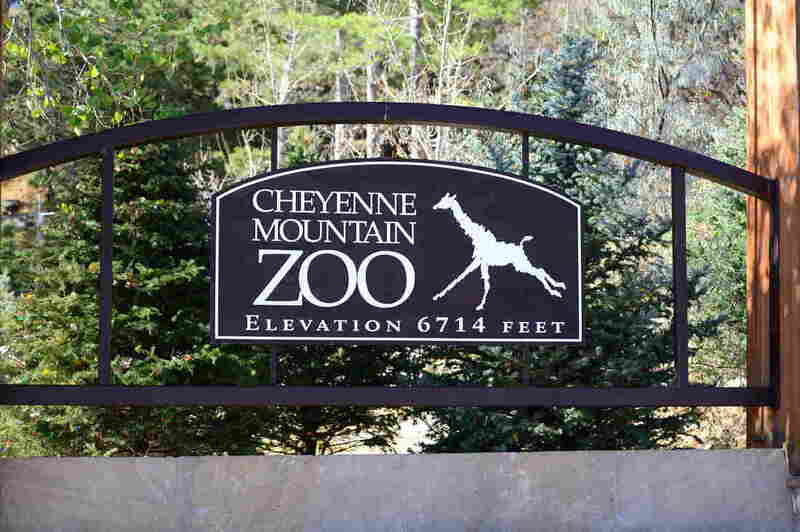 The Cheyenne Mountain Zoo says a heavy hail storm damaged its infrastructure and killed two animals on Monday. It was just a normal Monday afternoon at the Cheyenne Mountain Zoo in Colorado Springs when suddenly, the sky started pelting down chucks of ice the size of baseballs. There were more than 3,000 people visiting the zoo at the time of the severe storm who had to seek shelter. At least 14 people were injured by the hail, according to the fire department – five who were treated at local hospitals and nine others who were treated at the scene. That number is still being assessed. In a press release, the zoo says "many" people were injured, including staff trying to help animals. The zoo says two animals died "due to the trauma sustained during the hail storm," and it adds that it is "heartbroken." They were a 4-year-old Muscovy duck named Daisy and a 13-year-old Cape vulture named Motswari. Other animals are being assessed for injuries, the zoo says. "All of the Zoo's animals have permanent shelter, but just as there were humans injured while trying to get to shelter, some animals were injured, as well." Many were confused when the storm started, the zoo adds. A video taken in a bear enclosure gives some idea of the intensity of the storm. A bear can be seen in the background, as large hail fall into a small pond, causing the water to churn violently. Much of the damage from this storm occurred in the parking lot. According to the zoo, nearly 400 cars were "severely damaged." In a video after the storm, you can see that along a line of cars, nearly every one has at least one window knocked out by the falling ice. The local fire department was not allowing people to kick out their windshields to drive away because more storms were expected. "Buses are the only vehicles allowed to the #zoo," the department said in a tweet. As KRDO reported, the strong storm left many tourists without cars. "I don't know where I'm going, what I'm doing, or how I'm going to get there," Robin Lane, a stranded guest, told the station. A group of campers at the zoo at the time was not injured, it said. The zoo is closed on Tuesday and says it has "experienced significant damage to our infrastructure." "From a broad perspective here in Colorado, we're extra-prone to large hail for one simple reason: Our elevation. Denver's mile-high altitude places it 5,280 feet closer to the freezing level than a sea level location, giving us somewhat of a head start in getting those hail stones to the freezing level and making us one of the most susceptible locations in the world to large hail. "Additionally, since we're closer to where hail actually forms, it also gives it less time to melt before it reaches the ground. It's like eating an ice cream cone right away as opposed to a minute or two minutes after you order it."